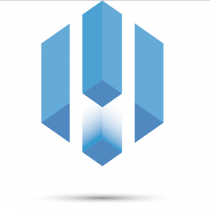 Price : 950€ | Deposit : 1900€ | Agency fee 3 to 5 months : 805€ | Agency fee 5 to 11 months : 1150€ . 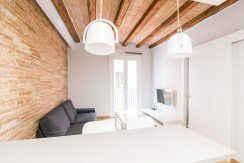 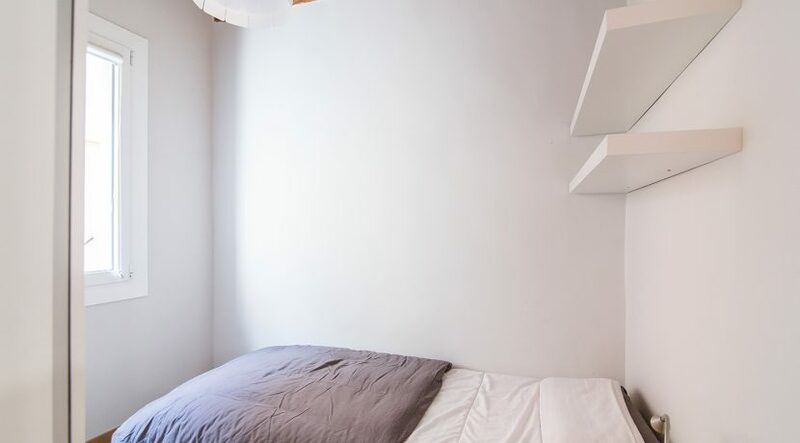 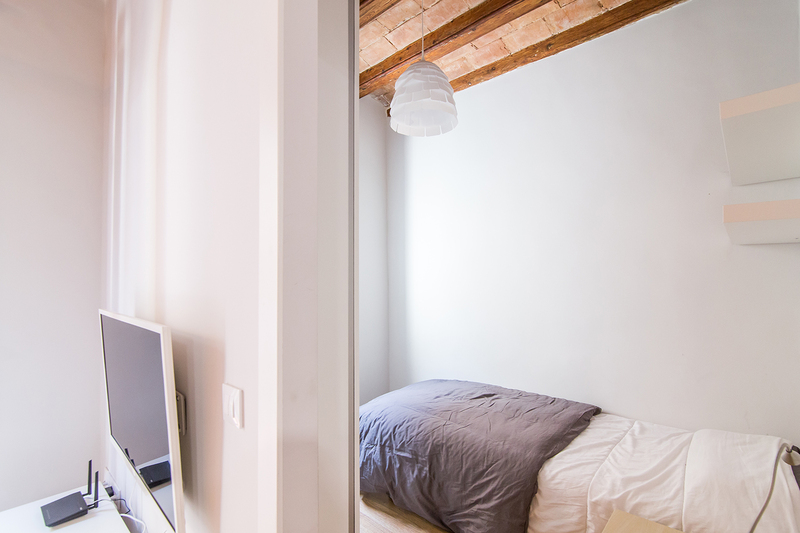 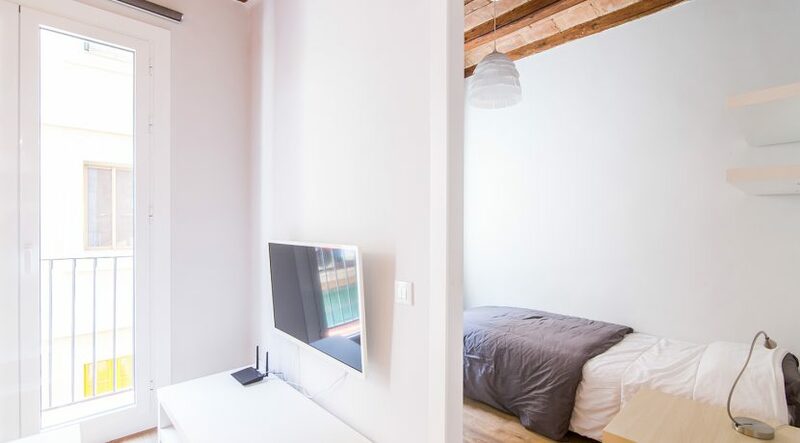 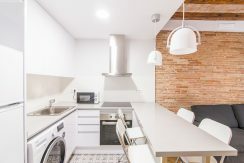 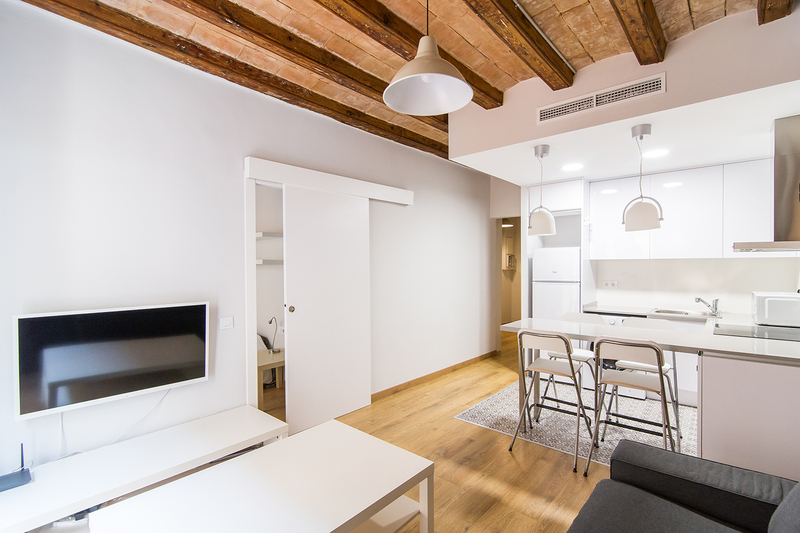 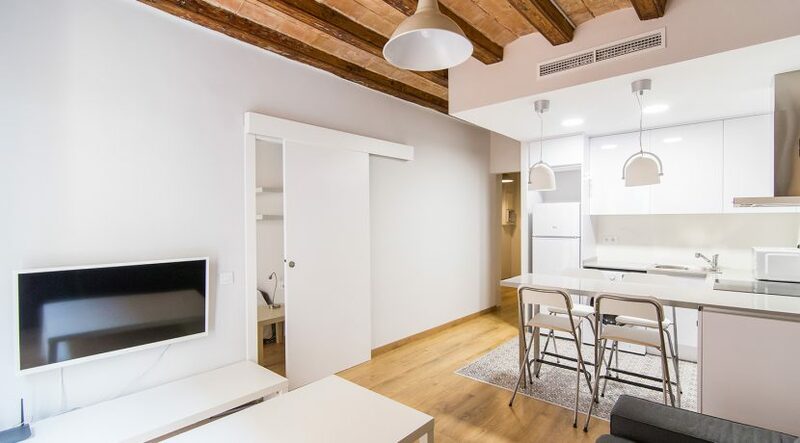 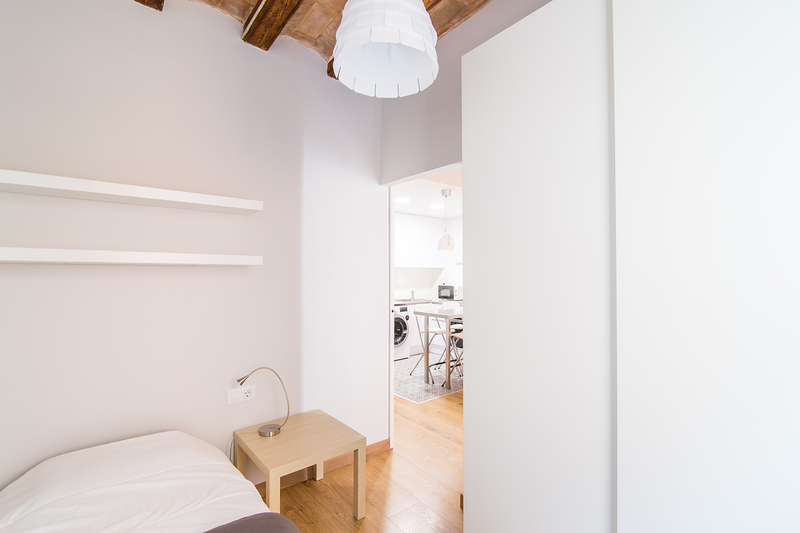 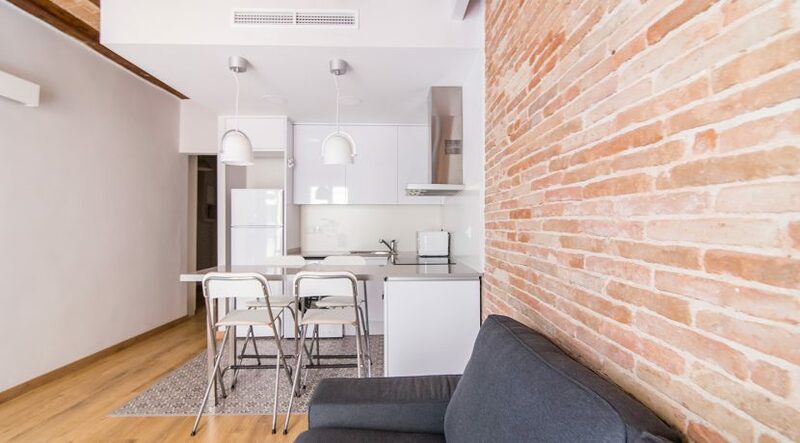 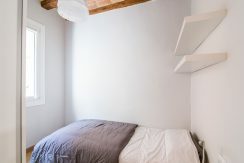 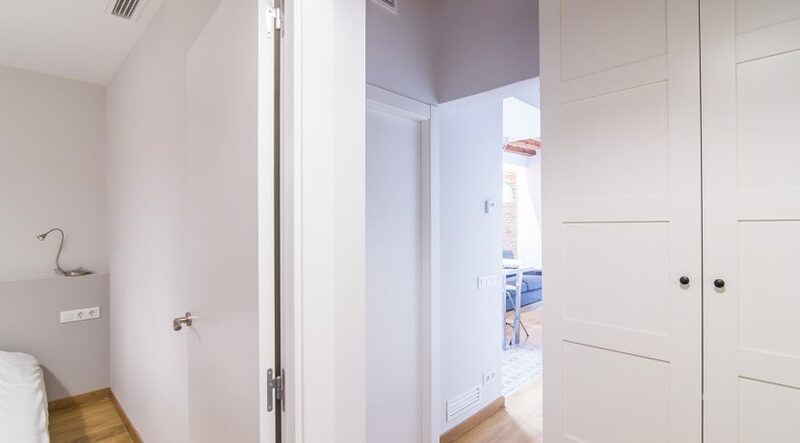 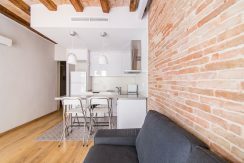 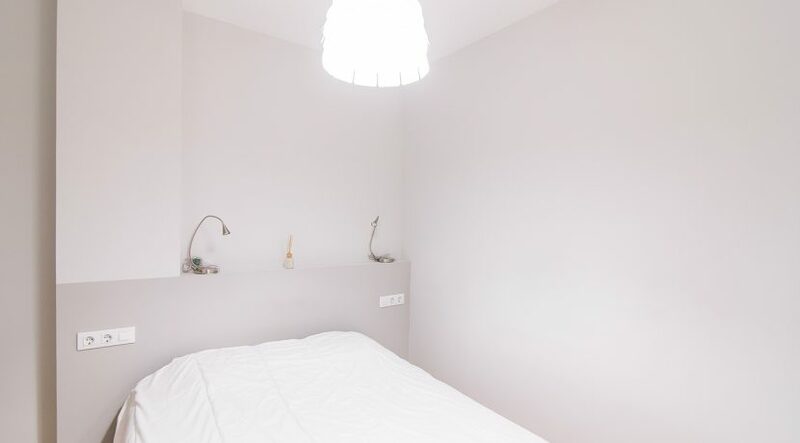 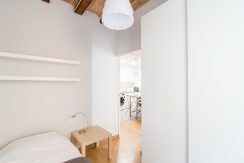 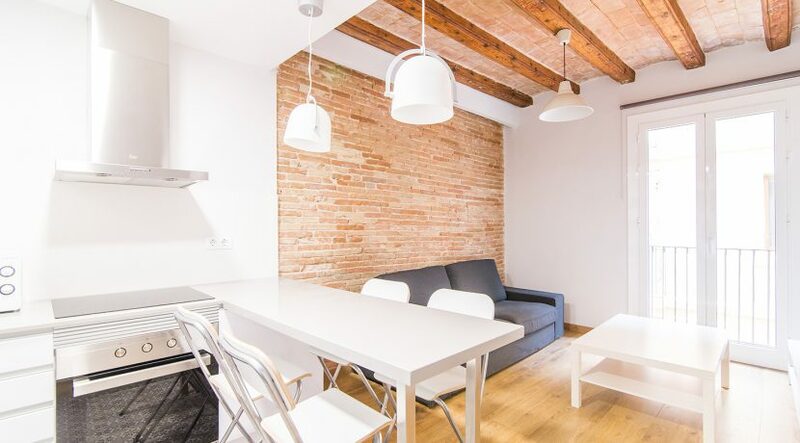 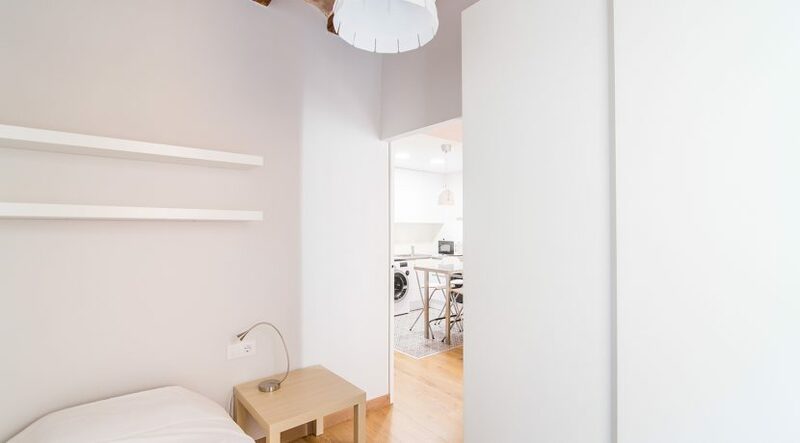 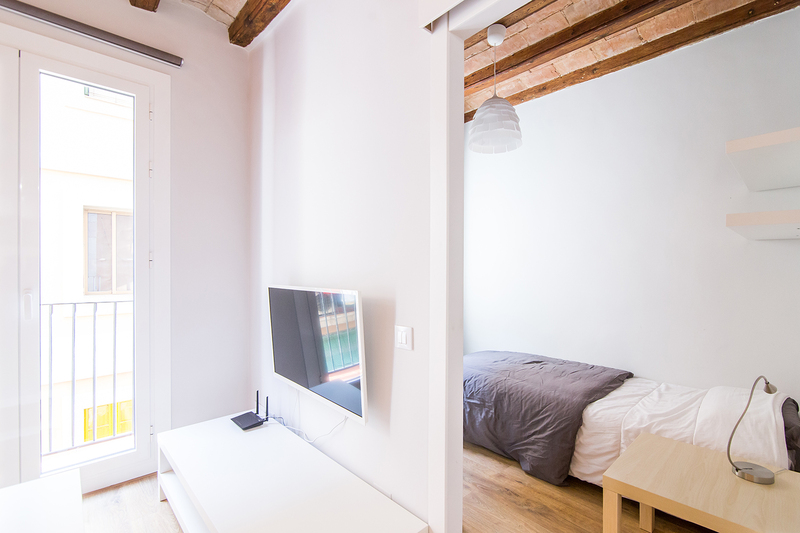 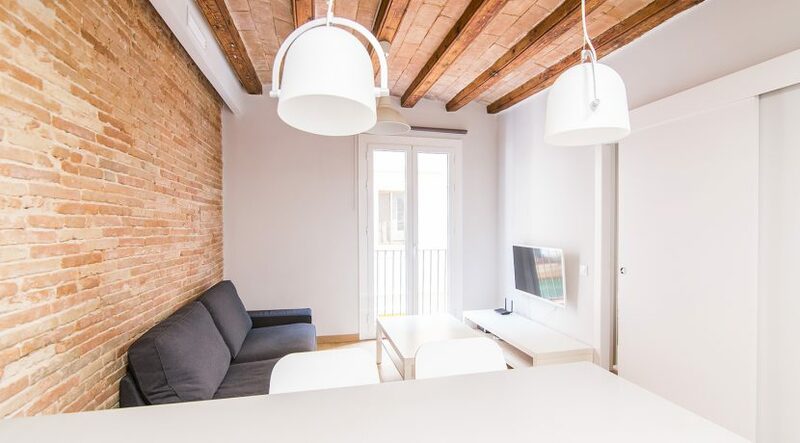 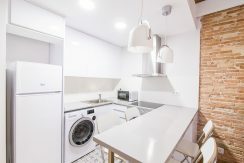 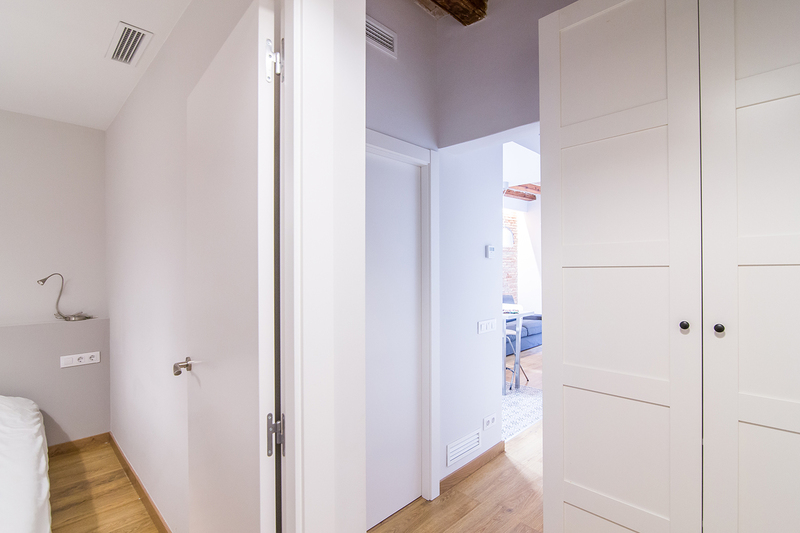 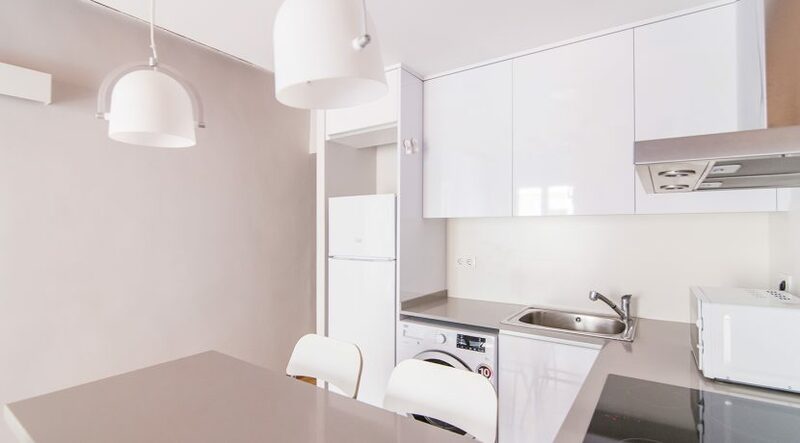 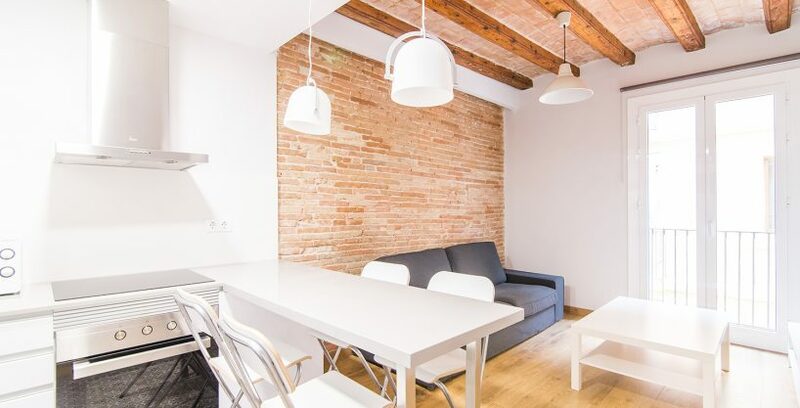 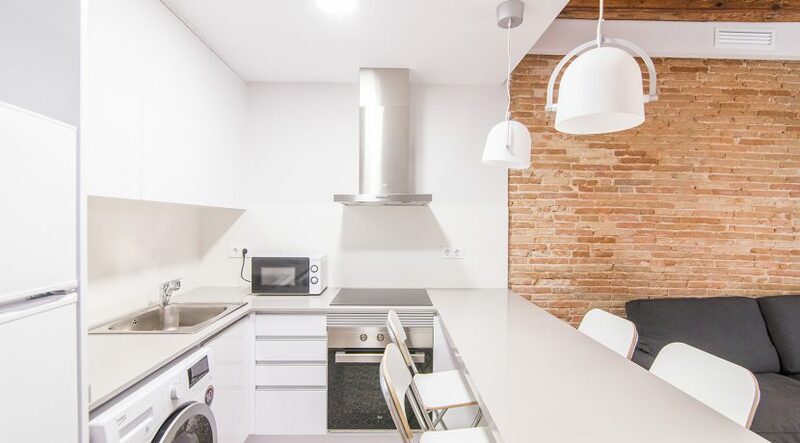 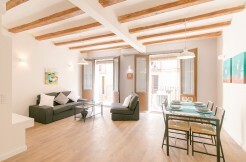 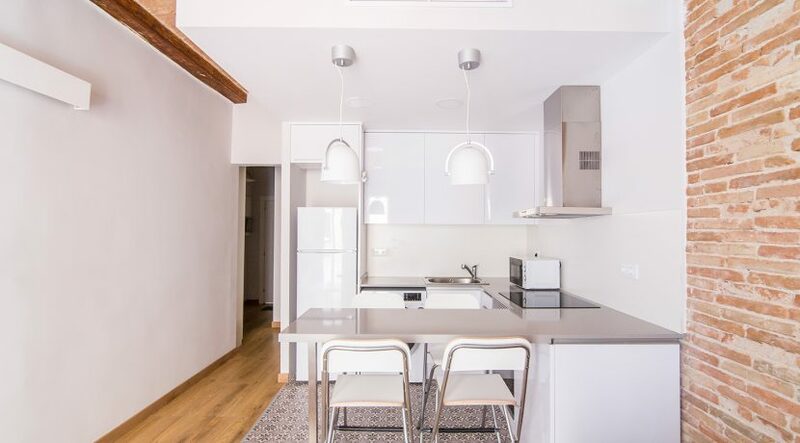 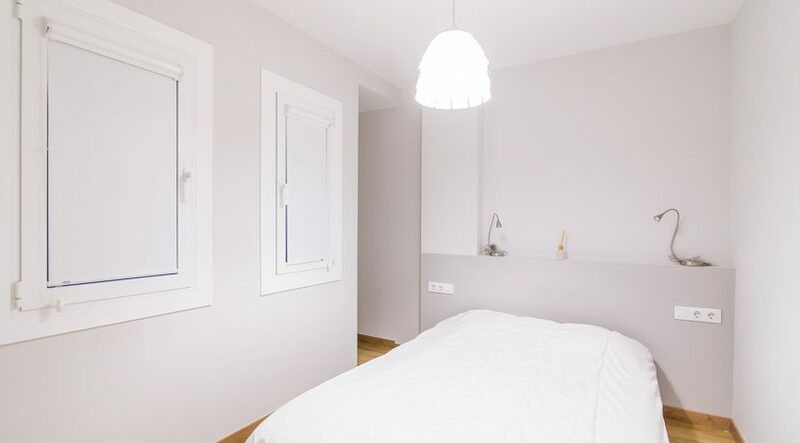 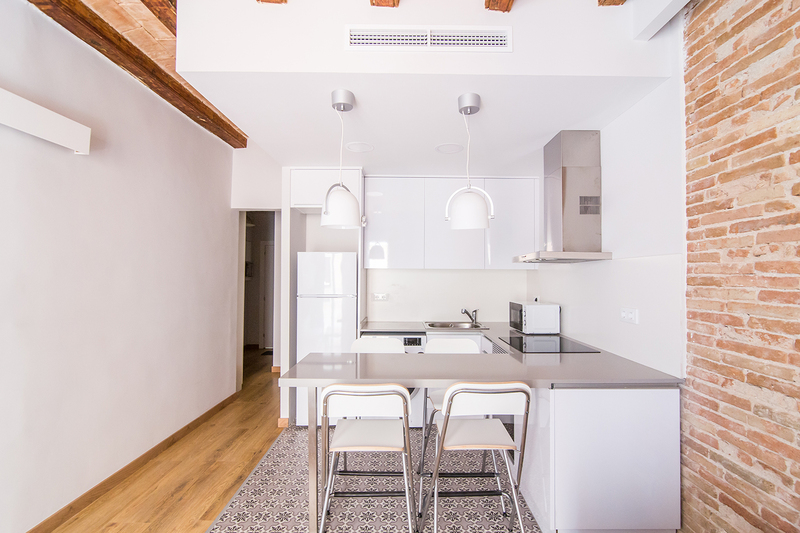 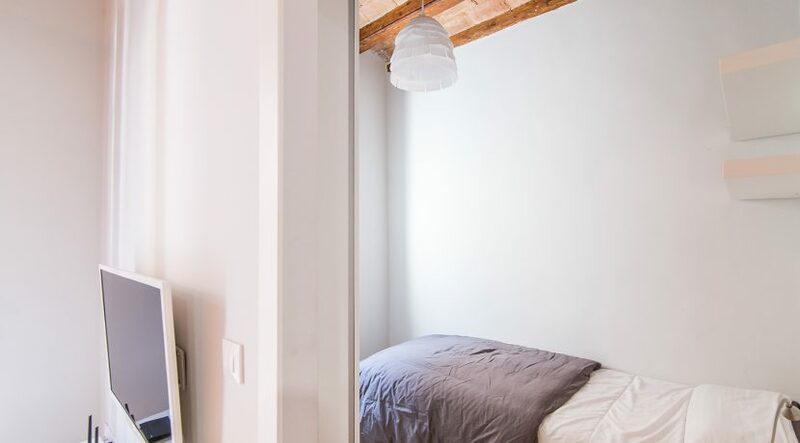 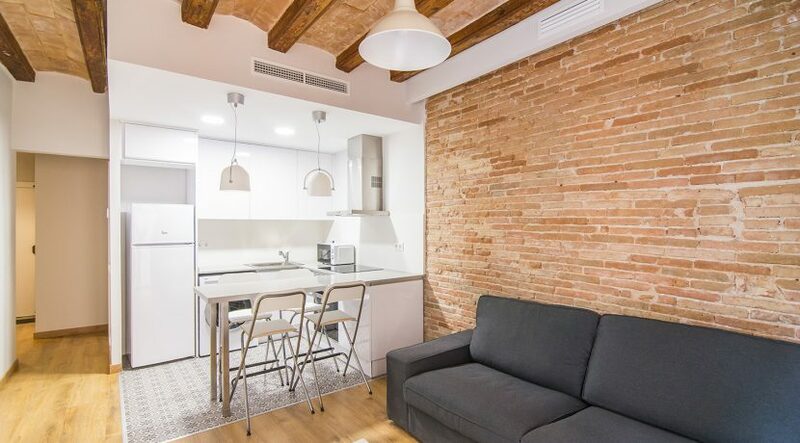 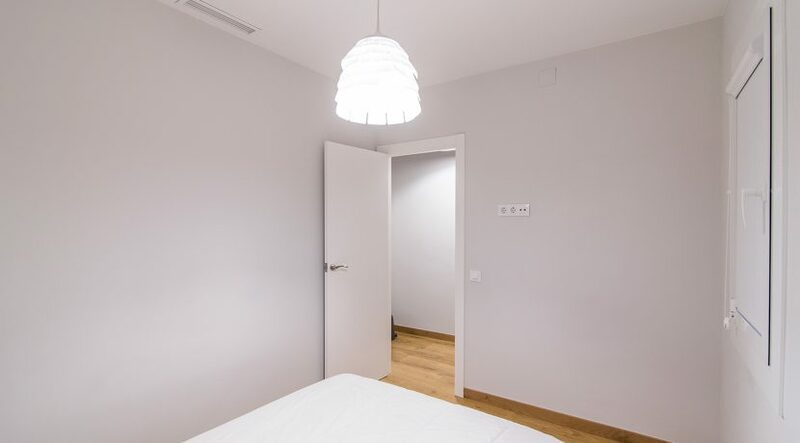 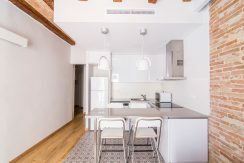 47m2 apartment, cozy and bright located in the district of Raval, lively and young district of Barcelona. 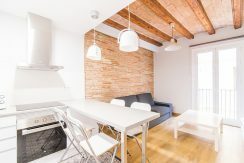 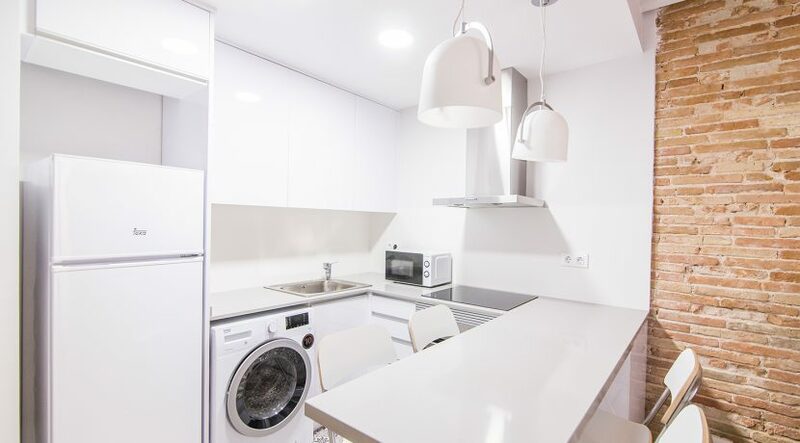 You will be within walking distance of Las Ramblas del Raval, where there are many bars and restaurants, including Palosanto, a popular and popular bar. The apartment consists of a double room and a single room. The double bedroom has a dressing area. 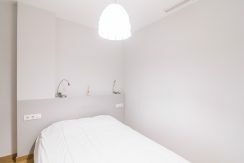 The single room is equipped with a wardrobe. 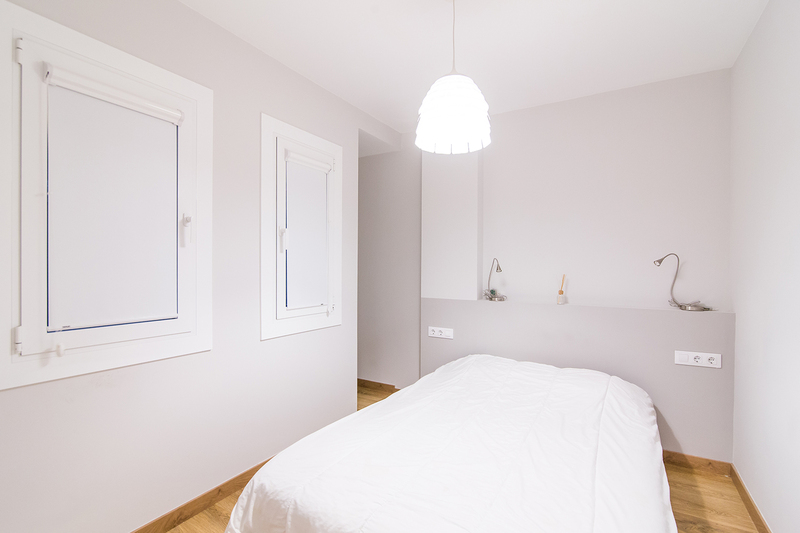 Both bedrooms have windows and therefore benefit from natural light. 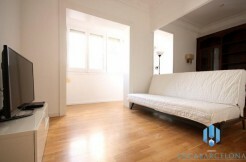 The living room, very bright, is composed of a sofa, a coffee table, and a TV corner. 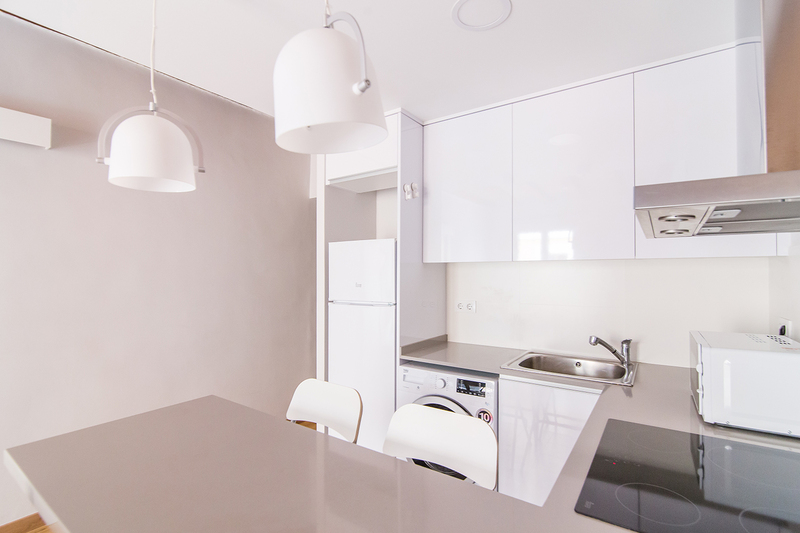 It overlooks the fully equipped open kitchen. 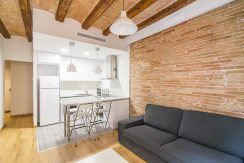 There is a bar to eat between the kitchen and the living room. 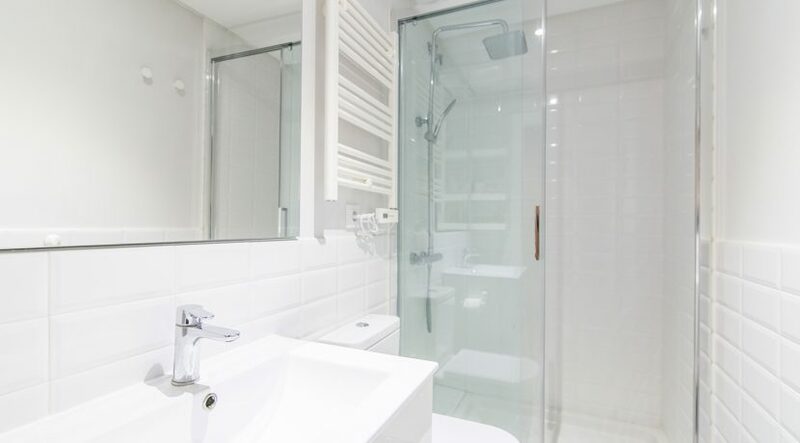 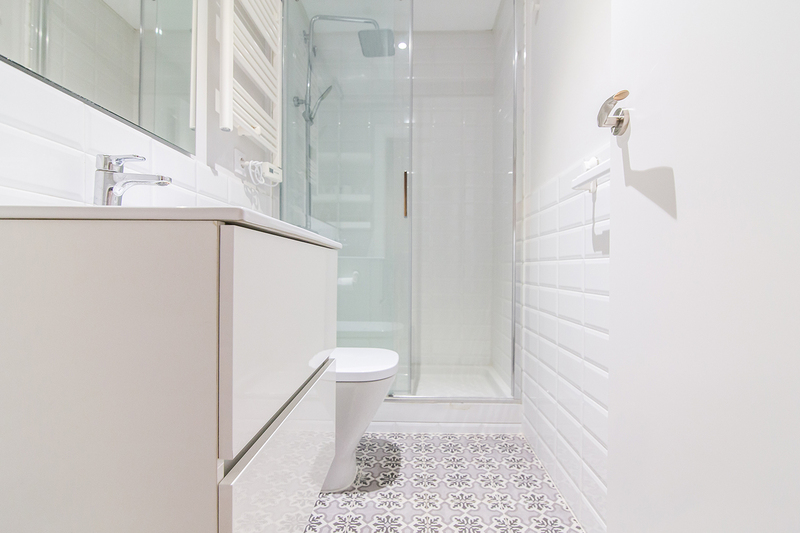 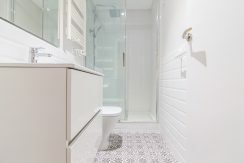 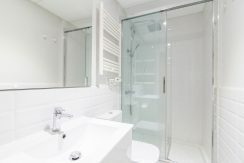 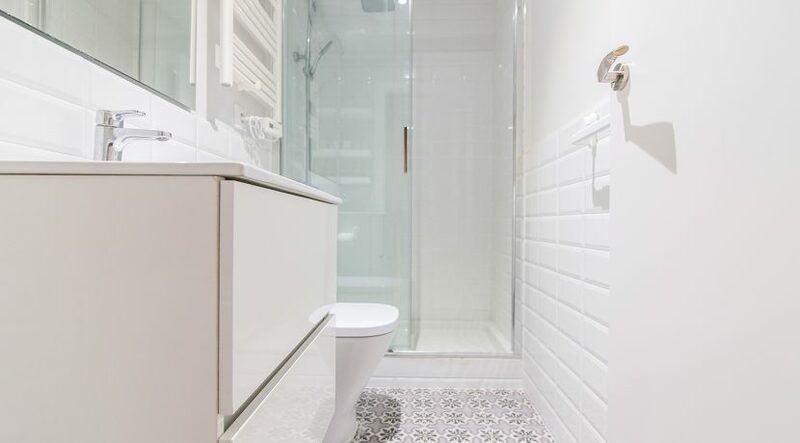 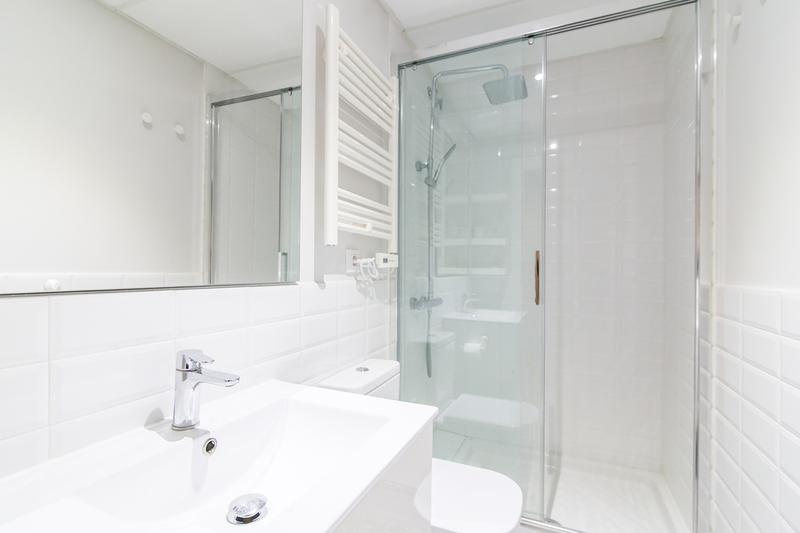 The bathroom is equipped with a shower, a sink, and a toilet.